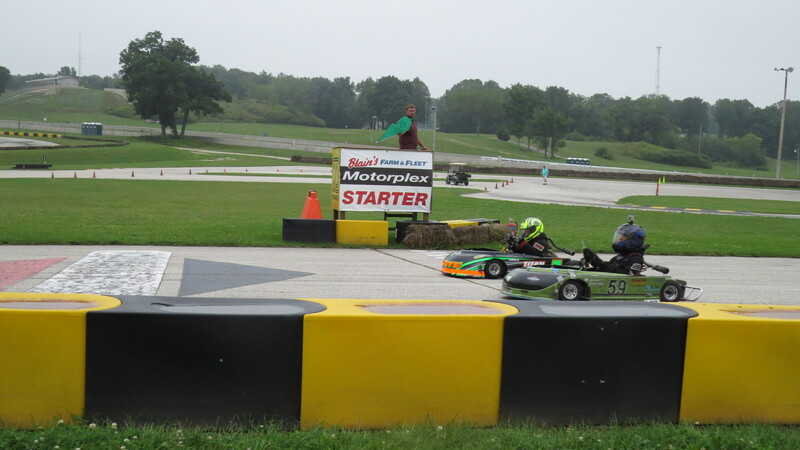 This last weekend we went to our favorite motor-sports complex at Road America for the last race with the Mid-American Sprint Series. The series has been a lot of work and time spent on the road away from home, but every time we go out we have some kind of adventure and learn something new. Jason has improved his driving from start to finish and I could not be prouder of the work he has done. W hen the kids aren’t actually on the track racing, they are running around playing. It could be any number of games from tag, to complicated versions of “Ghost in the Graveyard” or catch. At some of the recent races they have been racing scooters around the pits. 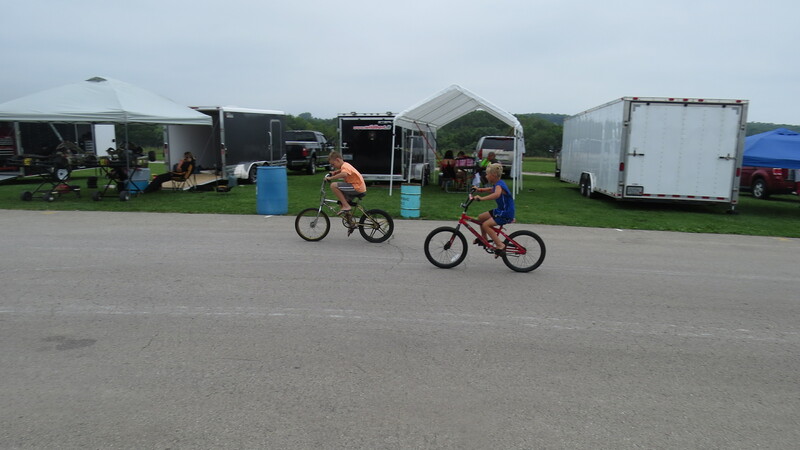 This week, there was a perfect storm of old school dirt bikes, which they literally raced around the pit area, including pit stops between laps, each in front of their own kart. I have no idea who won the the races but they were having a good time. On the kart racing side it was a hunt for the line and the kart setup. 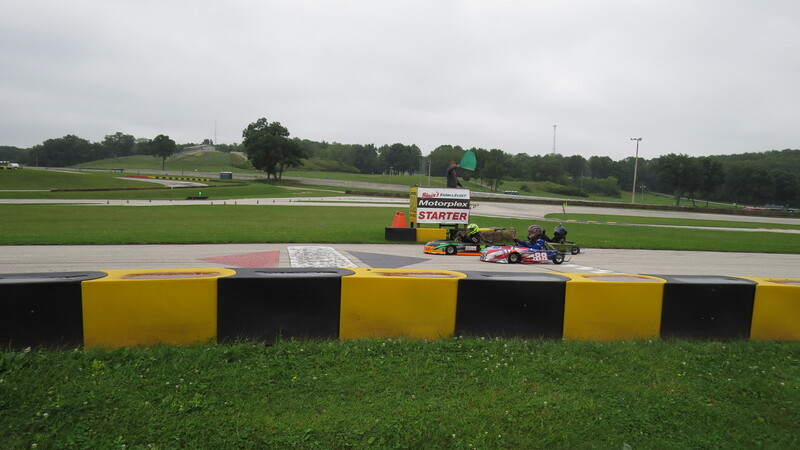 Friday during practice, I tried all kinds of gearing configurations and the kart was no faster. Most of the time, it was slower. While I was changing gears Jason was continuing to work out what was the fastest line around the track. It was a lot effort without much gain. Saturday’s racing was the same as practice on Friday. Fiddling with the gears a bit but getting nowhere. I finally just gave up and settled on a setup that others had done well with, and was the setup we started with. Turnout for the race was light with only Jason and Ashton racing in the class. Again it was a pretty frustrating day, though Jason did get a trophy and that makes any kid happy. 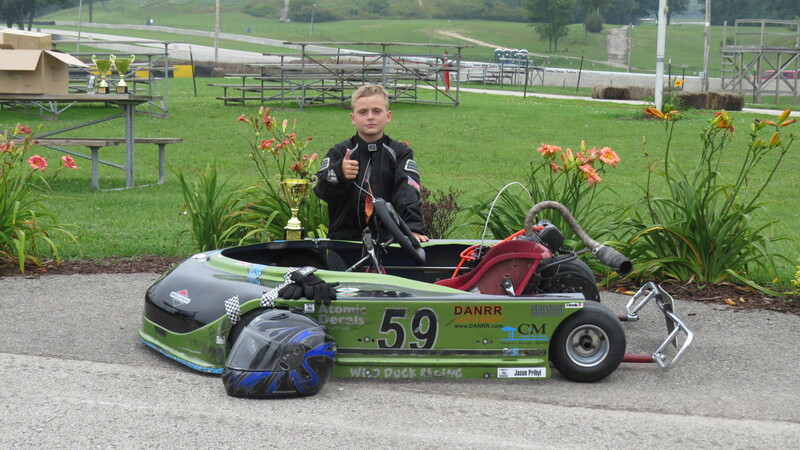 For the last day of racing I just stopped tuning the kart. I did not have the tools or experience to make any more adjustments. Jason started third and finished third in qualifying, pre-feature and feature. It was a less frustrating day, but because we had mostly given up. Despite all of out trouble Jason did get his fastest lap of the weekend during the feature. We have definitely reached a plateau as a team and are going to need to work hard to start making progress again. That said, we have made some great progress this season. Jason and his kart are so close to being very fast. We are going to continue to make adjustments to find that elusive go-fast magic. This weekend is the LO206 Race at Sugar River Raceway. We are going to run the green slide this time so look for us with a group of LO206 sportsman or the JR1 class depending on the numbers. After that, we are taking a week off before last CES race at Gingerman in Michigan. After that we are going to play it by ear, visiting tracks as we have time. Thanks to the Mersberger’s for all the air, folks to hang out with, and a place to stay. To Scott Vielgut and the Two Cycle Technology team for putting MASS together and letting run at some real challenging tracks. Thanks to all of our competitors. We have learned a lot from you and plan to put it to good use next season. Karen, thanks for editing the posts it really means a lot to me.